SoftFlex Hollihesive Skin Barrier is a skin barrier from Hollister Medical that completely protects the skin from irritating stomal discharge. Designed to be optimally durable in the presence of heat and moisture, this skin barrier is dually comfortable and discreet, resulting in a pleasant user experience. SoftFlex Hollihesive Skin Barrier from Hollister Medical conforms seamlessly to the natural contours of the body to allow for complete freedom of movement. 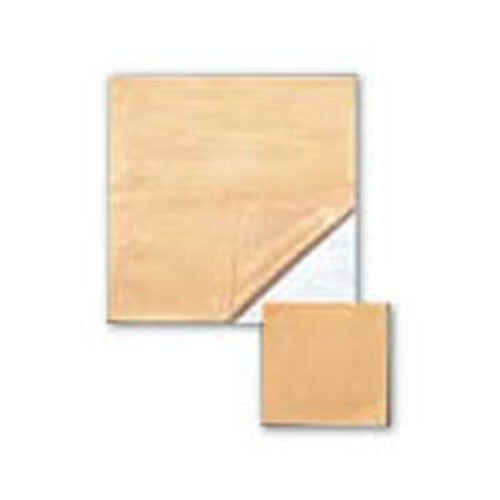 Easy to use, this barrier is constructed from flexible materials and is sticky on both sides. This barrier can be shaped to create a custom fit, making it the ideal barrier for a variety of different types of patients. You might also be interested in similar skin barrier products that we carry, such as New Image Flextend Extended Wear Skin Barrier with Tape. Protects the skin from irritating stomal discharge. Durable in the presence of heat and moisture. Comfortable due to its conformability to body contours and allows greater freedom of movement. Easy to use: flexible materials; barrier is sticky on both sides; can be shaped to give a custom fit.